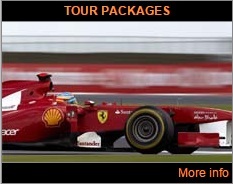 F1 Grand Prix Tours will provide you with a great opportunity to experience the 2019 Monaco F1 Grand Prix as well as the sights, sounds and people of Monaco. 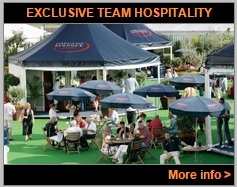 We can offer you a choice between two great superior 4 star hotels located either in Nice or Monaco, ideally located within easy walking distance of the city’s finest restaurants, nightclubs and shopping centers, combined with your return flights, general admission or grandstand race tickets, to form the basis of an unforgettable 2019 Monaco Formula 1 travel package. You must book a minimum of 4 nights, which may be extended on request, to give you more time to explore Nice, Monaco or the regions’ many sightseeing possibilities. Nice is the capital of the French Riviera and is a vibrant, colorful, sophisticated city, and is the place to stay if you are looking for an excellent and wide ranging selection of entertainment. 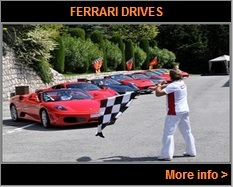 Nice is conveniently located only a 20 minute train ride from Monaco. 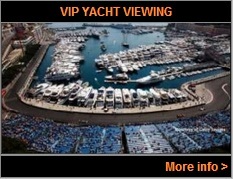 Monaco is second only to the Vatican as the smallest independent state in Europe. Set on the Mediterranean coast of France, just a few miles from the Italian border, the principality is a constitutional monarchy and relies largely on foreign currency for an economic base. Its principal industry is tourism. The country is a narrow ribbon of coastline backed by the Alpes-Maritimes Mountains, creating a natural amphitheatre overlooking the sea, with the population centered in four districts. Monaco-Ville is set on a rocky promontory dominating the coast. The Palace is the home of the Grimaldi family, the oldest ruling house in Europe. 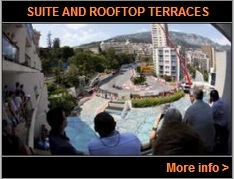 For Formula One fans Monaco also features the historic Circuit de Monaco F1 racing circuit.